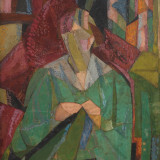 The Daily Telegraph has published a comprehensive write up by Colin Gleadell in the Art Market Focus of From Omega to Charleston: The Art of Vanessa Bell and Duncan Grant 1910 - 1934. 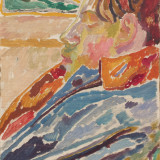 From Omega to Charleston: The Art of Vanessa Bell and Duncan Grant 1910 - 1934 runs until the 28th April at Piano Nobile, Holland Park. A pdf of the article can be found by following the link below.